Ecommerce is still a relatively new innovation; yet, it looks completely different than it did at its inception. In fact, the online shopping world of today has undergone substantial changes in only the past few years. The growth of ecommerce has increased with the customers switching to shopping and making purchases online. The state of technology is in a constant state of flux. It is a key element in determining how brands grow their sales. With proper application of technology, brands can remain efficient, cut costs, interact more with their customers and improve buying experience. These six new-ish technologies transforming ecommerce can all be credited for some of this evolution. There are a few ways that mobile wallets are making an impact on the ecommerce landscape. If you don’t currently use a mobile wallet to make in-person and online payments, you probably know someone who utilizes one. Apple Pay, Google Wallet, and Samsung Pay are a few of the most popular versions. In November 2016, the Government of India announced the demonetization of all 500 and 1000 rupee notes all over the country kicking off a new period of cashless economy. This has led the Indian customers making more micro transactions using mobile wallets. According to report published in Worldpay’s annual Global Payments Report, Indian e-commerce market is set to double over the next five years driven by, online transactions and mobile wallets. This indicates that the Indian ecommerce market will become one of the fastest growing economics in the Asia-Pacific region and seventh largest ecommerce market in the world. Mobile wallets are making conversions more seamless as mobile search continues to become the method of choice for people around the globe. Over half of all searches now happen on a mobile device of some kind. However, smartphones are still lagging behind when it comes to conversion rates. Better mobile wallet integration with e-commerce can simplify and secure the checkout process—thus removing roadblocks to making sales. Mobile wallets are also an important technology for ecommerce vendors trying to reach an international audience. This is because smartphones are more prevalent in many places than laptops or desktops—especially in developing economies. Many of us have had not-so-informative experiences with chatbots. These have been around for a while now, and are finally coming into their own as a value resourc. Chatbots are now helping e-commerce vendors provide more personalized shopping experiences for e-commerce consumers. The same goes for voice assistants. People like being able to simply say a phrase and have a voice assistant answer with a fluid response. These tools are making e-commerce more effective for vendors, as well as more enjoyable for consumers. Conversational commerce- the purchase of products via voice products like Amazon Alexa and Google Assistant will revolutionize how consumers and brands interact, says a report “Converastional Commerce, Why Consumers Are Embracing Voice Assistants in Their Lives”. The report published by Capgemini Digital Transformation Institute further informs that dozens of large retailers joined hands with Google to pioneer voice-based shopping via Google Express. Capgemini claims that consumers in the near future may be more willing to shop and purchase via voice assistants instead of looking up for websites or visiting stores personally. Amazon’s has launched a new generation of devices as a part of its Echo line, which boasts improved conversational capability, superior memory and improved voice recognition taking the quality of interaction to a more human-level. Like chatbots, there’s not much groundbreaking about the concept of a website template. Ecommerce platform providers have been offering these to their customers for a long time. However, the quality of website templates has dramatically increased over the past few years. Today it is possible for online brands to build beautiful, custom-looking websites just from templates. Even some free website templates look better than a high-end custom site from a decade ago. This trend will continue making ecommerce more accessible to small and medium-sized players. A report from Shopify revealed that 50.35 if traffic comes from mobile (40.3 from smartphones, 10% from tablets) and just 49.7% from computers. So, it is essential that e-commerce websites are optimized for handheld devices. For a long time, Amazon held a strict monopoly on one-click checkout. Their patents made sure that only brands that paid for the license could also use this innovative technology. But those patents are now expired, so ecommerce platform providers are starting to introduce this feature for customers. Amazon’s customers’ base is so large that they have grown accustomed to one-click checkout. Incorporating this feature can increase the consumers on other ecommerce platforms. One-click buying gives a seamless experience without the hassle of cart abandonment. A report published by e-commerce personalization vendor Barillance shows that in 2016, 85.65% of all global customers placed an object into a shopping cart but didn’t complete the purchase. Why is one-click checkout so important? Because having to fill out payment information is one of the leading causes of cart abandonment for ecommerce vendors. Now, more brands are going to be able to boost their conversion rates on their own online stores. Social media isn’t a new technology per se. But its usefulness to ecommerce brands is in a continual state of evolution. Targeting consumers through ads on Facebook, Instagram, and other social media sites is so effective because these sites have an incredible wealth of user data. Data-mining is a form of data-analysis that is used to analyze the data and draw accurate conclusions or predictions from it. Every purchase you make, the time you spend on looking for an object can be used to predict what you need and give targeted options. This raw data may come from the e-commerce site as well from web analytics tools like Google Analytics. An excellent example for the use of data mining in e-commerce is Amazon who took it to the next level with banners like ‘customers who brought these items also bought’, ‘recommended for you’ and ‘frequently brought together’. Also data mining helps in sales forecasting for the prediction of objects like stock control, pricing and marketing. The e-commerce site will know your buying and consumption habits and make changes according to it. 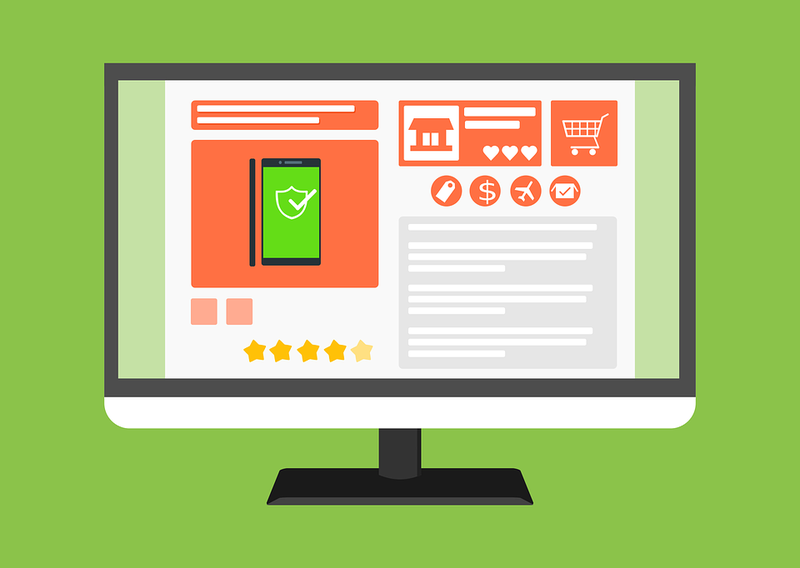 Ecommerce vendors can reach highly specific niches by taking the time to learn how to use these ad tools in the most efficient ways. Furthermore, social media influencers are taking brands to new heights. Influencers on Instagram, YouTube, and various other channels have massive following of loyal fans. The ability to market directly to niches through a trusted individual marks a massive shift in how people are selling online. AI is set to create big changes across industries of all kinds. Ecommerce is certainly no exception to this. There are a few ways that AI is going to make online shopping more efficient than ever before. Vendors will increasingly be able to integrate AI with their search bar tools in order to create highly intuitive natural language suggestions. It is said that businesses with implementation of artificial intelligence can boost up their sales up to 15 percent. Intelligent AI algorithms can predict the shopping behavior of their customers. It can be predict what products consumers are likely to predict and offer targeted recomendatations. Other than that it can be used for enhancing efficiency in ordering and inventory management. Additionally, AI features are already present in chatbots, voice assistants, product suggestions, and other commonly used tools. 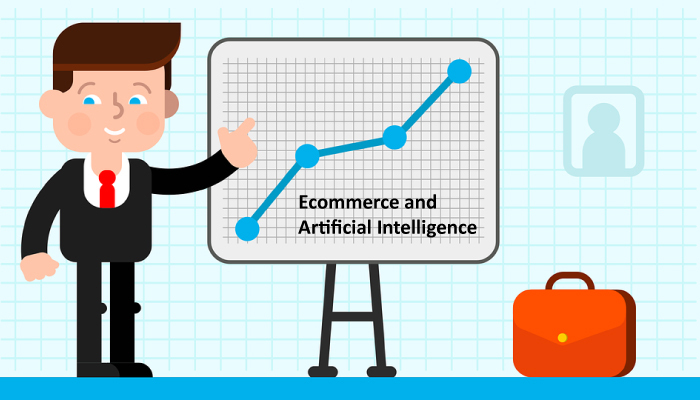 There’s no doubt AI is going to play a major role in shaping the future of online shopping. E-commerce has changed a lot in the past decades. Brands are now in a hurry to adopt the latest technology to get an edge over their competitors. They are constantly adapting these new technologies to keep up with the fast-changing industry trends. With these above mentioned technologies, the old and new ecommerce brands will be able to meet the demands set by the ever-changing consumer behavior and pattern. Oftentimes, it’s not immediately clear how a new technology is going to affect an industry. These relatively recent innovations are now firing on all cylinders, and actively molding the world of ecommerce. Some of these new technologies may now show immediate results and will take time to understand and reveal benefits. But the successful application of these technologies will solve customer engagement issues giving a satisfied purchase and thus creating confidence among buyers. Previous articleTanix TX6 TV Box Review: Best Value for Money Android TV Box Yet? Next articleGocomma USB 3.0 to SATA/IDE Hard Disk Adapter Review: Why You Should Buy One?